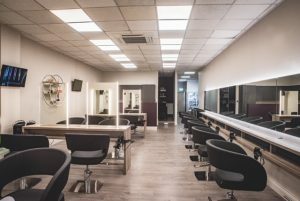 Hair Secrets aim is to provide a very personal professional service to all our customers in a welcoming, relaxed environment. Hair Secrets was created in 2010 by Salon owner Susan Flintoff. She had worked in the industry for 6 1/2 years having a fantastic time travelling to London for training and shows as part of a Protégé Team. Susan decided at the young age of 22 that she needed a challenge and opened her own salon. She opened with two team members and very quickly started to expand. Today she has 10 team members.